Throughout 2012, whenever I was asked if we would win in November, my answer was consistently, “We will win if we can overcome voter fraud.” I just could not comprehend that the American people would willingly allow the current administration to continue in dismantling our Republic, piece by piece. But I was wrong, at least partially. While voter fraud was certainly a problem, tragically, voter apathy was something that I never saw coming. Validation of U.S. Citizenship should be a key component in the Voter Registration process. Consider comparing voter applications and current registered voter rolls to exemptions for jury summons which claim the recipients are not U.S. citizens. A paper trail for all of our elections. Without it, there is not an effective recount procedure. One possibility: Have voters fill out paper ballots at the polling stations and then running them through the scanner, recording them electronically. Paper ballots would be saved as part of the election record. Another possibility: Have machines that print a receipt to be collected in a ballot box at each polling site. Each receipt should have a unique number that is also recorded on the machine to help prevent entire boxes of receipts being replaced. Any system is vulnerable if there is not a paper backup of the vote. Electronic data is easily manipulated and it has been done on both sides of the aisle. This is why it is critical that we stop-gaps in place to combat voter fraud. Consider this testimony from 2004. Thumbprint ID as an additonal requirement to vote. We currently have to provide it in order to receive a Driver’s License, to cash a check, to get something notarized, etc. 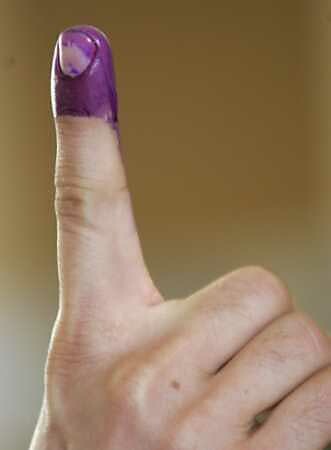 Third World countries use a fingerprint to vote, but for some reason, we don’t take it that seriously here. All that is required is a small peripheral device that connects to the computers at polling stations. *My code name for this effort is the Purple Finger Project and I spoke to several legislators in Austin last legislative session. However, most just wanted to get basic Voter ID passed. It’s important to note that I would not advocate for a national ID based on a thumbprint only as there are too many pitfalls associated with someone assuming your ID. (Yes, it’s technically possible). Using thumbprint ID should be considered as a compliment to a government-issued photo ID. It is always on you (you didn’t “forget” it at home). You don’t have to pay to get it renewed (you have to pay for a Drivers License renewal, etc.). You have EVIDENCE to give to the Secretary of State when you have suspected voter fraud. A dead person’s fingerprint is not transferrable (except in James Bond – with a lot of trouble). Complaints about the government knowing too much about us… coordinated uses in law enforcement, immigration, etc. However, the information is already out there. Photo ID at the polling place. Identification and security of advance ballots sent by mail. Beginning on January 1, 2013, any first-time voter registrant in Kansas must provide satisfactory evidence of their United States citizenship. Eric Holder claims that requiring Voter ID discriminates against the poor, regardless that there were avenues to get an ID without cost for those that qualified. Somehow, it’s inconvenient for them to go get a free ID, but not inconvenient to go vote. Additionally, those that are truly indigent are very likely already on public assistance – FOR WHICH THEY HAD TO PROVE WHO THEY WERE TO RECEIVE! Ironic. And I wonder what the AG thinks of this recent video of Congressman Jim Moran’s Field Director and son Patrick Moran discussing how to commit voter fraud in Virginia. Brave men & women bled and died to protect our Republic, and it’s like spitting in their face when we are so lax with our voting procedures. 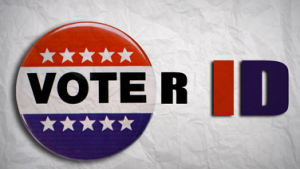 The right to vote is sacred – and we treat it as if it is cheap. Folks, FREEDOM IS FREE, but IT IS NOT CHEAP. As an American patriot, I’m insulted by the audacity of the left’s ability to hijack our country by fraudulent means. I’m insulted by the lack of conviction and even concession by our own party leadership. I’m insulted that my right to a fair election has been compromised to the point that my vote may not even matter – and I’m insulted that many Americans have become complacent and very few will actually speak out. If we abdicate our roles as citizens, we become derelict in our duty and become part of the problem. Aiding and abetting criminal activity is just as bad as committing the crime itself. It’s going to be a rough four years and I can’t even imagine the damage that will be done before it’s over, but we cannot give up! We are still here, and we are still able to fight. However, it will take a lot of sacrifice and commitment from all of us in order to retake our country. This is where we separate the wheat from the chaff and find out who is really on our team. Remember, too, that George Washington and the Revolutionary Army did not give up, even when things looked utterly hopeless. As American patriots, committed to liberty, we have a job to do, and we must not surrender or succumb to the new “normal.” Remember when Barry Goldwater was soundly defeated in 1964? If conservatives had completely given up, Ronald Reagan would have never been elected in 1980. We have got to wake up the soul of America, educate and energize the base and come up with a plan for 2016. And until then, we must stay the course, run the race and give it all we have. Are we willing to be the first generation of Americans to bequeath to our progeny a grimmer, less prosperous and less free life than we have enjoyed? My point is this - we have a responsibility, to ourselves, our Founding Fathers and most importantly, to our children and future generations. We cannot withdraw and tell them all is lost. It is incumbent upon every one of us to be standard-bearers for our core, conservative beliefs and keep the dream alive. While we still have a shred of liberty, I will do whatever is necessary, within my power, to protect it.